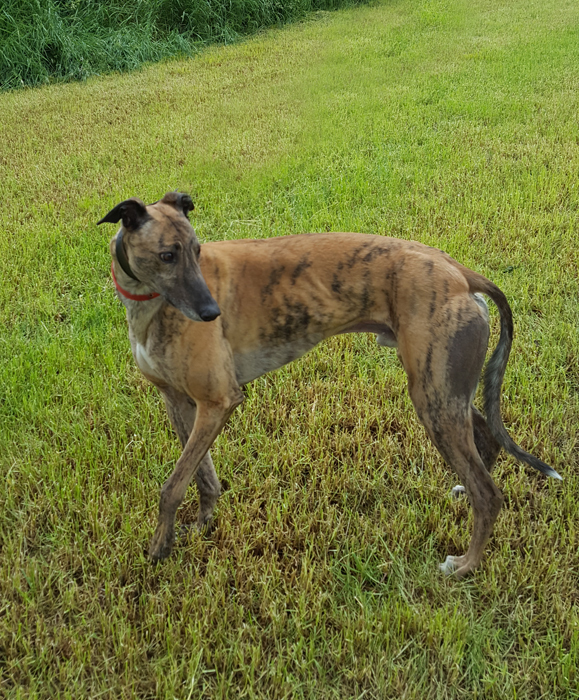 Went to his new home on Wednesday 10th August 2016. 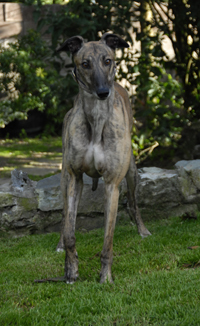 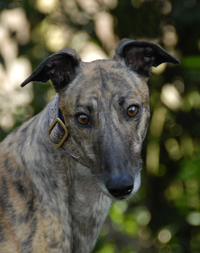 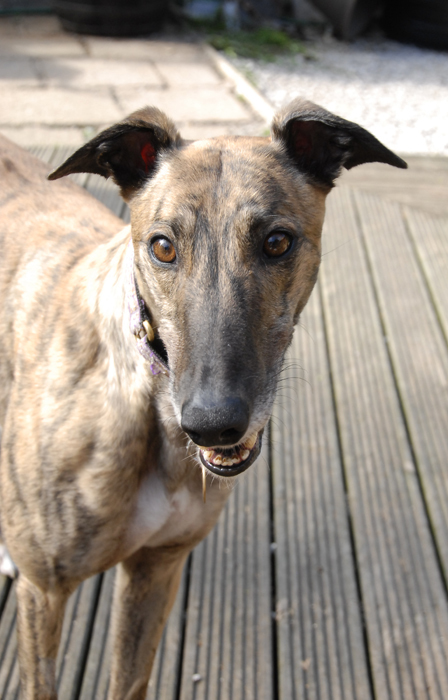 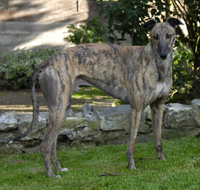 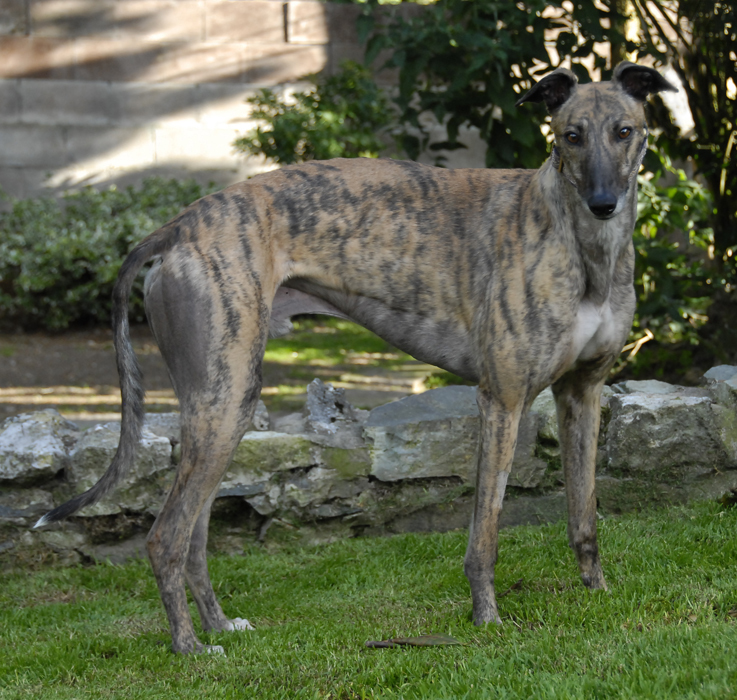 Finn is a brindle ex-racing greyhound who is arriving this week. He was born in May 2012, weighs 33.9kg, is house trained, inoculated and microchipped. 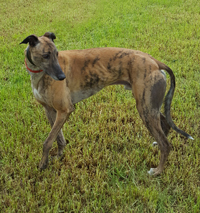 Finn is a very affectionate dog whose tail is always wagging, is okay with children and other breeds of dogs, walks lovely on the lead, travels well in the car and his current owner / trainer says his recall is good because he knows his name and never wanders far because he wants to know where you are. 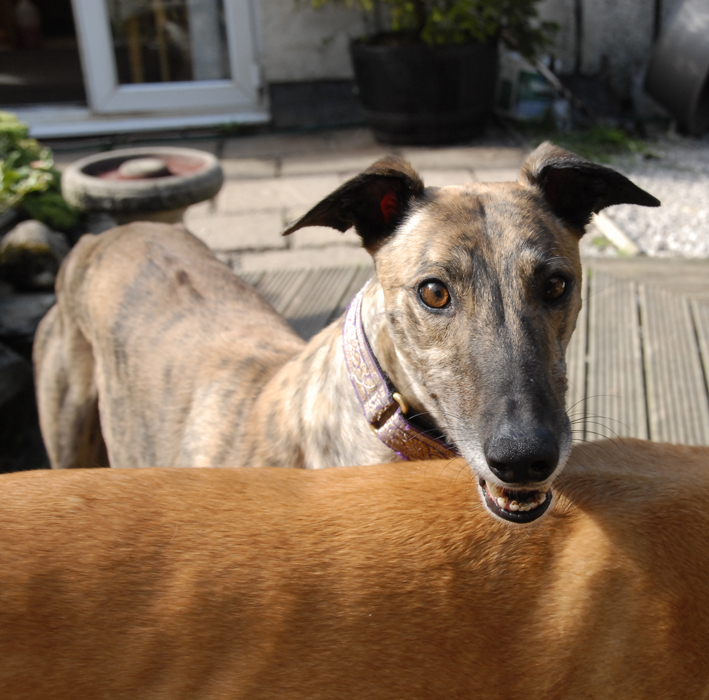 She says he is a lovely dog who is no trouble at all.